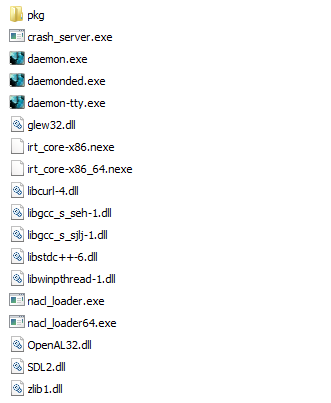 out and drop it back in the "first folder", I get pop ups saying : Programm can't start, because OpenAL32.dll is missing on this computer. When I click Ok there are 4 more pop ups telling me the same thing (All of them havge different "missing programms"). Which one do I pick ? So I should only launch the updater and it will drag out the file automatically ?! Does that mean I dont have to drag out anything by myself ? Correct. The installer will handle the installation.